In Halo 2 Anniversary you can earn an achievement called BLASTacular by finding all 6 hidden BLAST Soda Cans in the remastered multiplayer maps. Shooting each Blast Soda Can will grant you an achievement and an multiplayer emblem. Halo 2 Anniversary is part of Halo: The Master Chief Collection on Xbox One. Thirst Locked Down (5G) – Found and destroyed the BLAST soda can on Lockdown. High Altitude Thirst (5G) – Found and destroyed the BLAST soda can on Zenith. Gate Your Thirst (5G) – Found and destroyed the BLAST soda can on Stonetown. Bloody Thirsty (5G) – Found and destroyed the BLAST soda can on Bloodline. Rule Your Thirst (5G) – Found and destroyed the BLAST soda can on Warlord. Worship Your Thirst (5G) – Found and destroyed the BLAST soda can on Shrine. 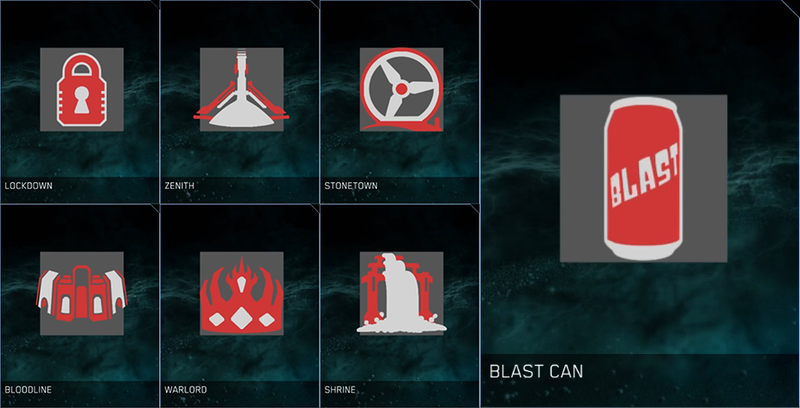 BLASTacular (10G) – Destroyed all the Halo 2 Anniversary Multiplayer BLAST soda cans.